The complete study by New York State on the positive impact of school libraries on student achievement. The New York state study from 2011 that clearly indicates the importance of school libraries to increase motivation, higher assessment scores and ultimately higher graduation rates. Infographic to share - how librarians can help you with writing standards. Available as "standalone" or as a Postcard. Infographic poster of the "information highway." Verbs found in Common Core to "elevate" teaching beyond rote recall. Visit NYSED.gov to find more information about the regulations of the Commissioner of Education on School Library Media Centers and School Library Media Specialists. 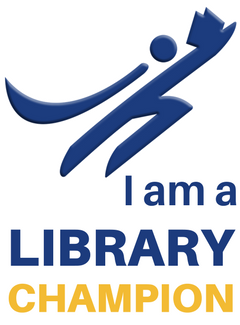 §91.1 School Libraries - "A school library shall be established and maintained in each school." §91.2 Employment of school library media specialist - "Each school district shall employ a certified school library media specialist..."
Program Requirements for the Middle Grades (Grades 5 - 8) "All students shall be provided instruction designed to enable them to achieve, by the end of grade eight, State intermediate learning standards ... "
A one-page infographic about how librarians are critical to literacy in schools.